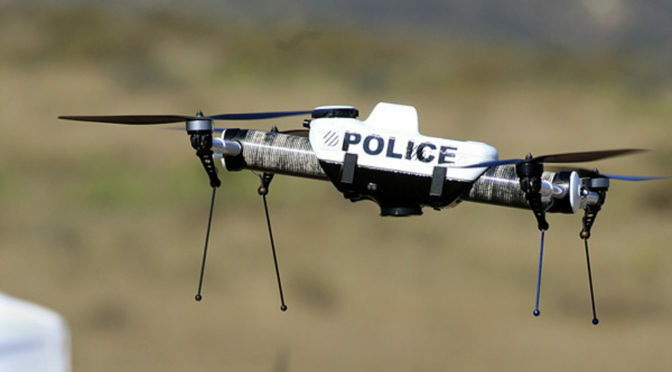 Police drones are becoming more and more commonly utilized by law enforcement agencies across the world. As of 2017 there were 347 American police departments using unmanned aerial technology. This number represents a 518% increase over a two year time period. Police are quickly catching on to how drone technology can help make police work easier and safer. One of the ways drones are being utilized is in surveillance. Drones have the ability to reach vantage points that would either be impossible for an officer to reach, or expose the officer to danger. 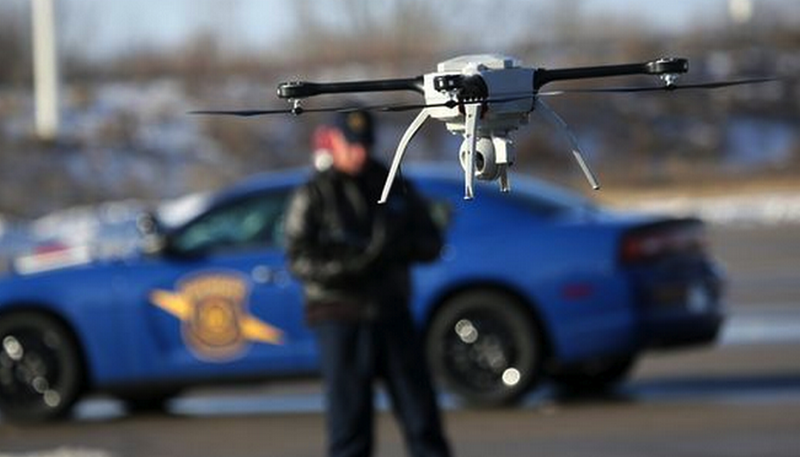 A drone can get to a great vantage point without having to compromise the safety of an officer. This ability is especially useful in an active shooter scenario, where the lives of the law enforcement officers are on the line. Being able to view and assess threats remotely not only minimizes risk, but allows police to formulate a strategy. Drones can also minimize risk to bystanders. If a suspect were to commit a crime then run into a crowd of people, a drone would be able to track the suspect through the crowd rather than have officers run after and risk harm to an innocent bystander. The video footage from the droid can make an important addition to an investigation case management platform. Drones are also being used in crime scene analysis. By combining drone technology with 3D mapping technology, police are able to make a navigable rendering of the crime scene based on aerial photographs. This can be used to recreate scenarios such as traffic accidents, or to search for previously unnoticed details in a crime scene. Search and rescue missions are also aided by drone technology. When lives are on the line, time is of the essence. A drone can cover large areas in a short amount of time, and with a thermal imaging camera attached, it can more easily spot a person than human eyes can – especially in the dark. Drones can also be used to monitor large crowds, not only to observe any possible criminal actions, but also to see if any person in the crowd needs medical assistance but cannot signal for it. Drones are an extremely useful technology and are only becoming better and more affordable. Law enforcement can utilize them not only to better prevent crime, but to reduce the risk that officers take in the field every day. And in a situation where officers are putting their lives on the line, it’s good to have a friend than can fly. 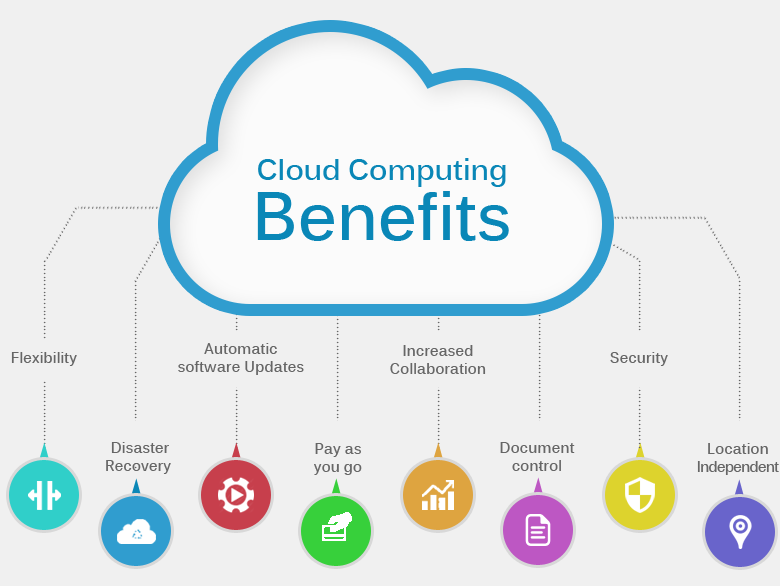 Cloud computing for law enforcement, in simple terms, refers to software hosted off-agency and available to the user through their internet connection. This type of software-as-a-service, or “SaaS” offers several advantages over software that is hosted locally on the user’s hardware. Computer hardware is always being tweaked and improved upon, and state-of-the-art equipment can become obsolete extremely quickly in this environment. Many vital pieces of software that law enforcement rely on can be extremely demanding of hardware resources. With cloud-based software solutions, the software and the hardware required to run it are maintained offsite. The agency users simply access the software through an internet browser on a computer or smart phone, and have access to all the functionality of the software with none of the costs or hassle involved in hosting locally. These costs also include maintenance and security. Cloud-based solutions such as Case Closed Cloud also allow for software to be more portable, as the software can be easily and readily accessed by any user with a smart phone. In addition, compatibility across platforms becomes less of an issue, as the software only needs an internet browser to function. This means law enforcement officials can seamlessly move from using a MacBook at work, to their Windows Phone at lunch, to a Linux based PC at home, without having three separate installs with varying functionality. Still, the major advantages of cloud-based software make it a powerful and very accessible tool for law enforcement. 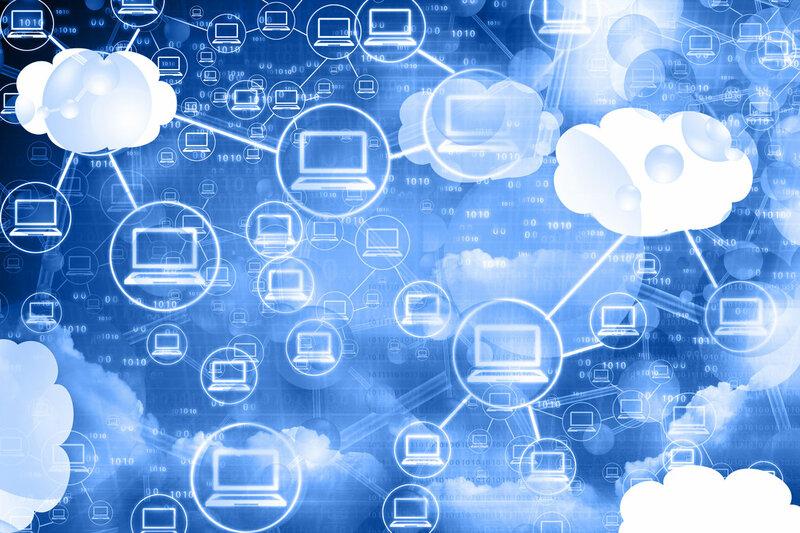 The simplicity and ease of access are defining characteristics of the cloud-based revolution. By Tyler Wood, Operations Manager at Crime Tech Solutions. 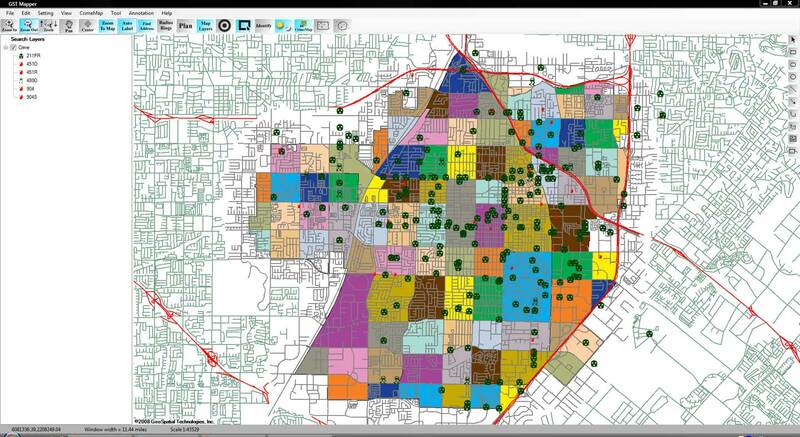 One of the many functions crime analysis performs is the identification of “hot spots”, or geographical areas that seem to be hubs for criminal activity. Identifying these hot spots through best practices in geospatial crime mapping allows law enforcement to focus their efforts in areas that need them most. The trouble that law enforcement and crime analysts have encountered is displacement – the fact that once a hot spot is “cleared”, crime seems to pop up again in a different location. The good news is that the displacement is never 100%, so policing hot spots is important – it’s just not a magic bullet. To solve this problem, a team at Rutgers University’s School of Criminal Justice set out to develop new methodologies that would result in peaceful outcomes that are built to last instead of merely temporary. The difference between the old approach and the new approach is stark. Where police and analysts used to focus solely on geographical concentration of crimes, Risk Terrain Modeling examines the factors that contribute to such dense concentrations to begin with. Rutgers team have identified several characteristics of any given geographical location which may attract or generate crime. Their technology takes these characteristics, which include socioeconomic data, physical layout, types of local businesses, etc… and uses them to calculate the likelihood crime occurring in the area. This allows law enforcement to be proactive in the prevention of crime in these areas. Advanced crime analytics show statistically significant risk factors. The technique seems to be highly effective. After a trial run in New Haven, CT, police were able to identify sixteen “statistically significant risk factors that underlie violent crime occurrences.” A high percentage of violent crime in New Haven during the test period occurred in locations already identified by the concept of risk terrain modeling. Though the technology is still new, it is clearly showing impressive results already. Shutting down hot spots is important policing, and risk terrain modeling technology allows analysts and law enforcement officers to be even more proactive in their prevention of crime. June 1, 2016 (Austin, TX) Crime Tech Solutions, LLC, a leading provider of analytics and investigation software for law enforcement and commercial markets, today announced that it has acquired Cleveland, TN based Case Closed Software in a cash transaction. The terms of the deal were not released, but according to Crime Tech Solutions’ founder and president Douglas Wood, the acquisition brings together two dynamic and fast-growing software companies with an unparalleled complement of technologies. Crime Tech Solutions, based in the city of Leander, TX, delivers advanced analytics and investigation software to commercial investigators and law enforcement agencies across the globe. 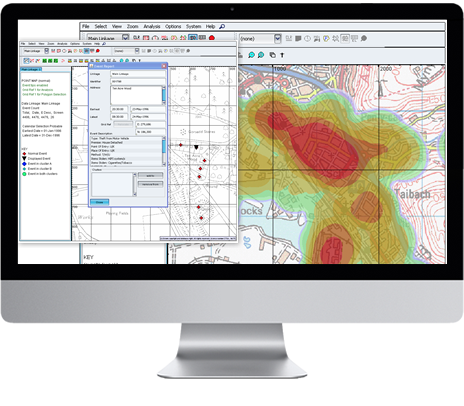 Their solution suite includes criminal intelligence software, sophisticated crime analytics with geospatial mapping, and powerful link analysis and visualization software. The company says that the addition of Case Closed Software expands those offerings even further. Case Closed Software develops and markets investigative case management software specifically designed for law enforcement agencies. The suite is built around four primary software products including best-in-class investigative case management software, property and evidence tracking, a gang database tool, and an integrated link analysis and data visualization tool. The company also plans to release the solution as Case Closed Cloud for cloud-based access. According to both Mr. Weigand and Mr. Wood, the name Case Closed will continue on as the product brand, given its widespread popularity and loyal customer base. Crime Tech Solutions is expected to retain all Case Closed employees, with Mr. Weigand joining as the company’s chief technical officer. Crime Tech Solutions says it expects continued growth via ongoing software sales and strategic acquisitions. A University of the West Indies (UWI) professor is calling for the increased use of technology by developing countries, including Jamaica, to assist in the fight against crime. Professor Evan Duggan, who is Dean of the Faculty of Social Sciences, said there have been “amazing advancements” in information and communications technologies (ICT), over the past six decades, which offer great potential for improving security strategies. The academic, who was addressing a recent National Security Policy Seminar at UWI’s Regional Headquarters, located on the Mona campus, pointed to Kenya as a developing country that has employed the use of inexpensive technology in its crime fighting initiatives. “Potential applications and innovations have been implemented through the use of powerful but not very expensive technologies that have allowed law enforcers to make enormous leaps in criminal intelligence, crime analysis, emergency response and policing,” he said. He pointed to the use of a variety of mobile apps for crime prevention and reporting, web facilities, and citizen portals for the reporting of criminal activity. Professor Duggan said that in order for Jamaica to realise the full benefit of technology in crime fighting, national security stakeholders need to engage local application developers. “I would enjoin our stakeholders to engage the extremely creative Jamaican application developers, who now produce high quality apps for a variety of mobile and other platforms. I recommend interventions to assist in helping these groups to cohere into a unified force that is more than capable of supplying the applications we need,” he urged. 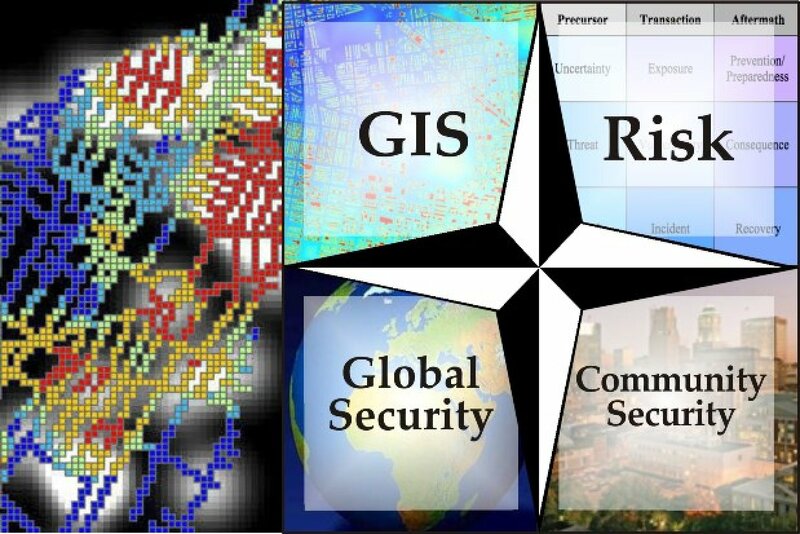 The UWI Professor pointed to the Mona Geoinformatic Institute as one entity that has been assisting in fighting crime, through analyses of crime data as well as three dimensional (3D) reconstruction of crime scenes; and mapping jurisdictional boundaries for police posts and divisions, as well as the movement of major gangs across the country. In the meantime, Professor Duggan called for “purposeful activism” in the fight against crime and lawlessness which, he said, are “serious deterrents to economic development and national growth prospects” and could derail the national vision of developed country status by 2030. “In the current global landscape where security challenges are proliferating across borders and have taken on multifaceted physiognomies, all hands on deck are vital,” he stressed. “We need to …consolidate pockets of research excellence in this area …to provide the kinds of insight that will lead to more fruitful and productive collaborative engagements that are required to help us better understand the security challenges and threats from crime in order to better inform our national security architecture and direction,” he added.